There’s nothing quite like a couple thousand kays compressed into a few days to really get to know a vehicle. We had the chance to head South in BMW’s new X4, and jumped at it, taking the ‘truck’ from Auckland to Queenstown via the West Coast to drop it off for Beemer’s Alpine xDrive Experience. The X4 is based on the X3; it’s all but the same size but rides a little lower to the tarmac, 36mm to be precise, while inside the seats are mounted lower too. It’s a mid-sized SUV, according to BMW, but after a long tour we found it to be a pretty handy South Island GT, able to cover distance in comfort with the added ability to venture a little off the beaten track. It’s also dynamic enough to let you enjoy those mountainous stretches as they snake up and through the passes and down into the valleys while the powerful twin-turbo diesel gives it enough pace to deal to the tourist traffic and it offers a reasonable touring range too. Petrol engines are now the clear favourite for BMW car buyers, but when it comes to SUVs, the range is dominated by oilers to the extent that even the sporty X4 range is diesel-only, with no turbopetrol variants offered here. 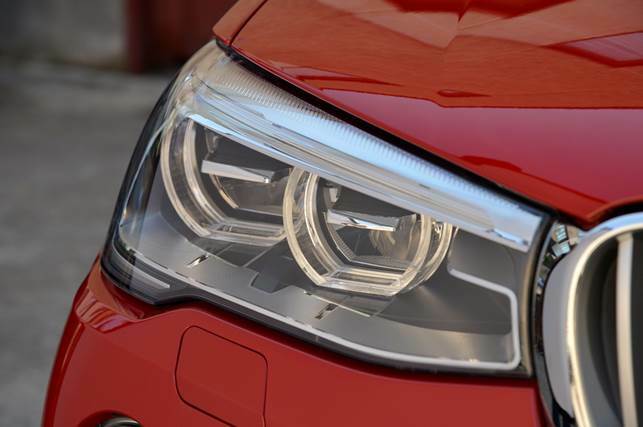 The entry level is the 20d with BMW’s new 2.0-litre four making 140kW and 400Nm of torque. It can crack 100km/h in 8.0sec and return a claimed 5.4L/100km. BMW NZ has gone for the top spec 35d to head the range here with its twin-turbo 3.0-litre six outputting 230kW with 630Nm tapped between 1,500 and 2,500rpm. It’s good for a claimed 0-100km/h sprint of 5.2sec while imbibing 6.0L/100km and it complies with EU6 emissions standards. The fuel use average might be achievable if the drive mode button is glued to the Eco Pro position, but tap into the 230kW peak too often and it will drink. We were seeing instantaneous fuel use in the 30s climbing up some of the more interesting passes. That said, we averaged 9.4L/100km for our Southern jaunt which covered just under 2,000km. The forced six sure does crank out the torque though and there’s no waiting around for it, the twin turbo arrangement getting things done early. And it likes to rev too. As the torque tally begins to drop off seemingly around 3,000rpm, the horsepower kicks in with 200kW rising to 230 at its peak at 4,400rpm. Impressively for a big mill, it still remains lively up to 5,000rpm. While it’s not a sporty sound- BMW has so far resisted engineering a fake sound for its engines - it doesn’t rattle like a tractor either. Quick cruising is a real forte, short straights are sufficient to overhaul tourist class dawdlers and usually only with a downshift from top. The standard eight-speed auto has the X4 sipping diesel at a rate of around 5.0L/100km at 100km/h on the flat, according to the instantaneous readout, with the six spinning almost silently at just 1,500rpm. 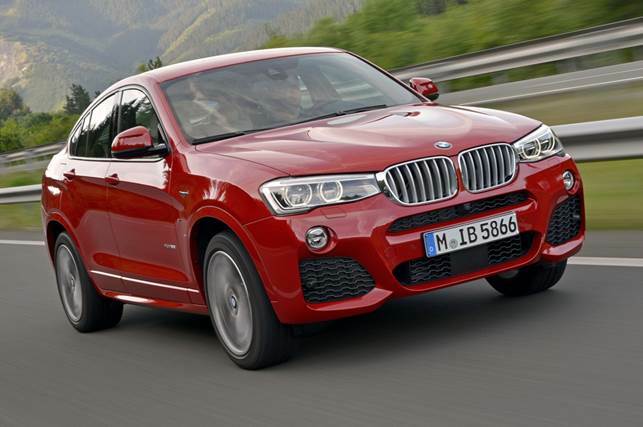 The X4 utilises the talents of BMW’s xDrive all-wheel-drive system to shuffle the torque appropriately while all models also gain the advantage of ‘Performance Control’. That’s fancy speak for BMW’s active diff with its mechanical planetary gear set and an electronically controlled multiplate clutch that splits drive left to right at the rear axle. It uses an array of sensors measuring yaw rate, wheel speed, steering angle and engine torque and with its own control unit, it can react quickly to the situation at hand. The xDrive system normally distributes power 40:60 front to rear but can vary that up to 100 per cent each way.